Donald “Littlin” Ted Welch born August 31, 1932, passed away on April 14, 2018 surrounded by his family at his home in Bakewell. He was preceded in death by his parents, Hiram and Marie Welch, brother, Robert (Betty) Welch, sister, Wilma (Ted) Jenkins and sister-in-law, Patricia Yarborough. He is survived by his loving and devoted wife of fifty six years, Kay Crawley Welch; daughter, Denise (Tracy) Keylon; son, Douglas (Candy) Welch. He was blessed with five grandchildren that adored their Papaw, Ryan (Ericka) Keylon, Zach (McKenzie) Keylon, Spencer Keylon, Cody Daniels and Kayla Welch; two precious great-grandchildren that he called gifts from God, Jensen and Nolan Keylon. He is also survived by his twin brother, Ronald “Biggin” (Dorothy) Welch; another brother, Herbert Welch; sister, Ann Welch James; brother-in-law, Phil (Virginia) Crawley and fourteen nieces, eight nephews and numerous great-nieces and nephews whom dearly loved him. He retired from TVA and served in the United States Army during the Korean War from 1953-1955 while stationed in Germany. He loved bluegrass music and was a self-taught musician and he played the guitar, banjo, fiddle, mandolin, french harp and piano. He found joy being in the outdoors, playing music with family and friends; driving his team of mules, watching his grandchildren play ball and sharing every Atlanta Braves game with the love of his life. He was a loving husband and wonderful father that touched our lives forever and will be deeply missed. The family expresses their appreciation for the loving care given to him by the nursing staff at North Park Memorial and Amedysis Healthcare. Visitation is 4:00 P.M. to 8:00 P.M. Tuesday and 11:00 A.M. to 2:00 P.M. Wednesday. 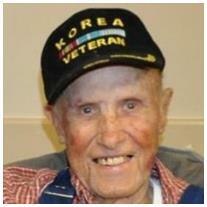 The service will be 2:00 P.M. Wednesday at Williamson & Sons Funeral Home with Pastor “Bud” Schumerhorn officiating. Burial will follow in Coleman Cemetery.